It is a known fact that the more comfortable we feel in a space, the more likely we are to spend more time there and more likely to trust the people running, living, working in that space. You may not be aware of what exactly makes you feel comfortable in a space - but let's face it, Architects don't go to University for seven years for nothing! They are trained to know exactly how and what to do to produce a particular feeling from a building. Commercial Car Showrooms are a unique area where the space needs to a) house large products (cars...), b) be welcoming for customers and c) produce a sale. Without one of these three elements in play - there is no business for the Car Showroom. Also, how do we make large zones still feel welcoming and a trusting place to sign away a few thousand dollars? If a customer is going to walk through your car showroom doors, the chances are - they have done their research online and are into the second stage of their purchase decision - testing and finalising what they want. The last thing any customer wants is that all eyes are on them as soon as they walk in and to be made to feel as though the salesman is talking at them like a cruise missile and not listening to what the customer wants. 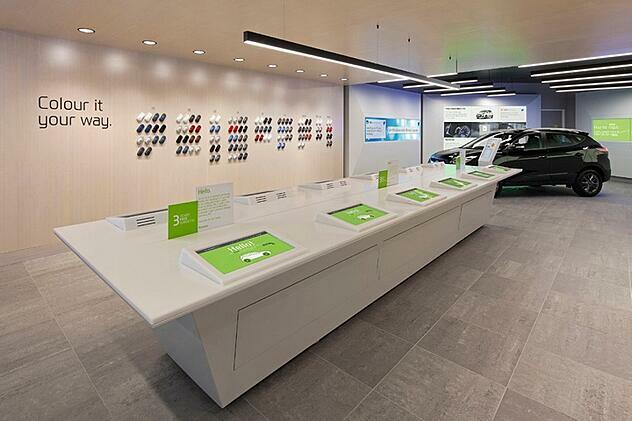 When the customer walks into the car showroom - are they greeted straight away by a friendly face? 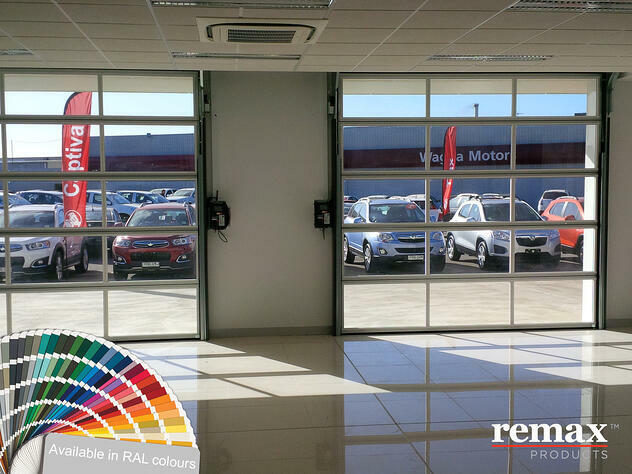 Is your showroom logically zoned so that a customer can view all the small cars together / all the sports cars together or all the Utes together in one area for easy comparison? Do you have directional signage showing customers where they can ask question / where they can grab hard copies of information? Think about how you like an area presented yourself - its not all about commercial branding but about the customer. 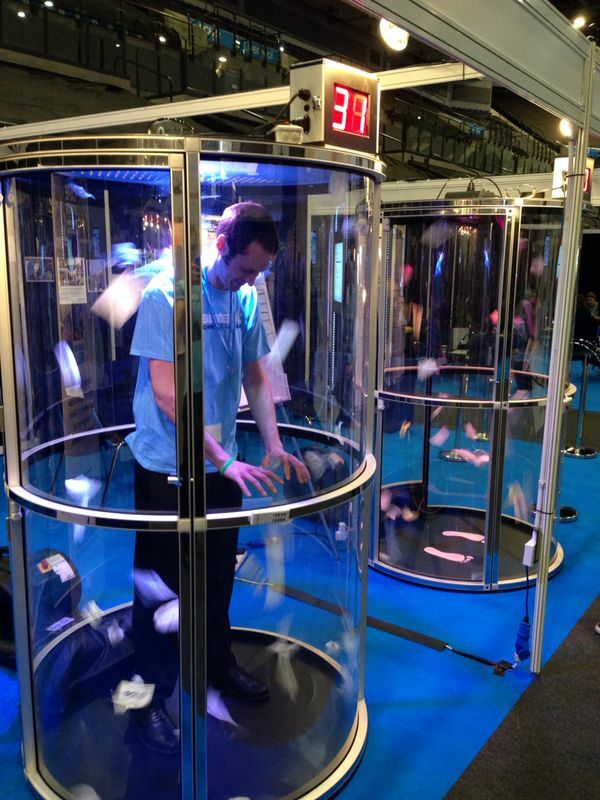 Have you thought about installing or hiring interactive features which could be incorporated into your showroom. Based on your target customer - another way to get them to spend more time in your showroom - or to keep coming back, is to incorporate interactive areas where the five senses can go wild - i.e. An Isuzu Dealership in Western Australia offered a 'cash grab machine' onsite where new car customers attempt to grab as much money within a set time and this cash is then offered towards accessories or upgrading the vehicle, such as car bumpers / pearl paint / window tinting / extended warranty / alarms / floor mats / sound system / fabric protection / roof racks / tow bar / headlight and bonnet protectors and more. Since the customer is into stage two of their buying journey, what else could be done at the dealership while they are there? This is the chance to really show off features / accessories / test tracks / possibly tyres / introduce the servicing team or even have their car washed. A no brainer is to have catering facilities onsite to offer hot and cold beverages while they check out the display cars. The more time that you can have with the customer, the better. And the customer may not mind hanging around a bit longer if they can grab a coffee onsite. 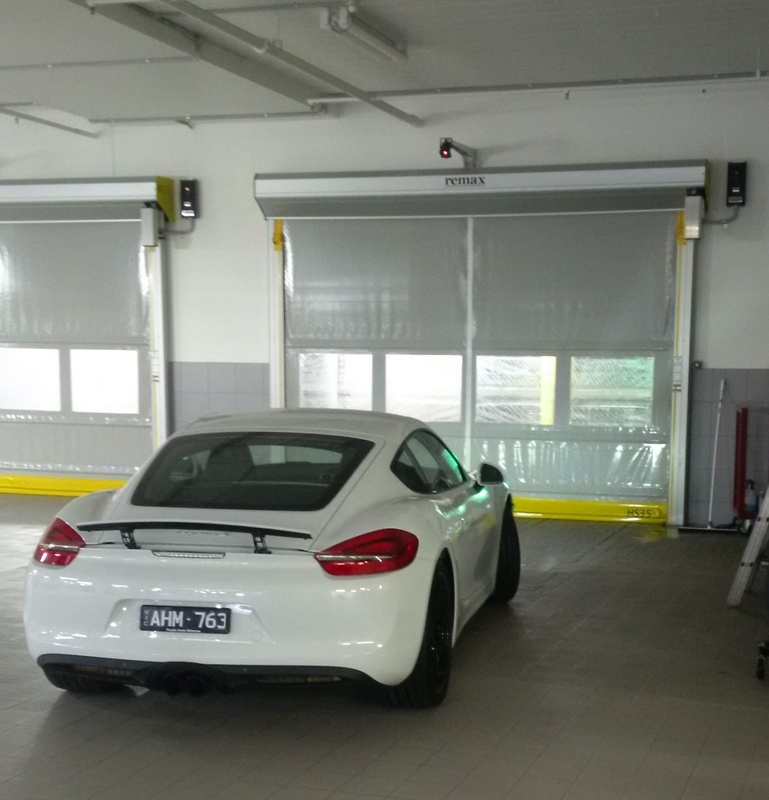 Movidor High Speed Doors installed at a Melbourne Car Showroom car wash facility. Keep in mind that an owner will return to the dealership for service MANY times, and this process / experience needs to be honored by the design. NO ONE likes to sit at a dealership, and very few customers want to stay. Some dealers have tried just about everything to get them to stay… cafes, drive-through coffee counter, retail stores, I’ve seen a nail salon, big home theater style movie rooms. In Saudi Arabia, you’ll need to take the driver into account. Woo them and you’ll make more sales. They are FAR less likely to care about the cost of the car, they’ll want a car that is reliable, comfortable and a dealership that takes car of them… and in style. Drivers lounges in Saudi Arabia have massage chairs, pool tables, TV’s and refreshments. It’s hot there… really hot… a comfortable environment is vital to the success of the dealership. Do your lounge areas resemble a waiting room? Think about several smaller lounge areas such as a quiet lounge or a TV lounge. If you have multiple buyers onsite at once, they are more than likely to come along with family, spouses, even kids - aim to be able to provide their own lounge areas to discuss vehicle specifics, rather than a row of chairs. Help them make the most of their time while they are there. The summary is that you have to understand the processes at play, and the experience that you want the customer to have. Now… for a bit of reality. Virtually every automotive brand has a set of very strict design guild lines. They establish all kinds of design criteria that MUST be met as well as minimum facility sizes, features and finishes. 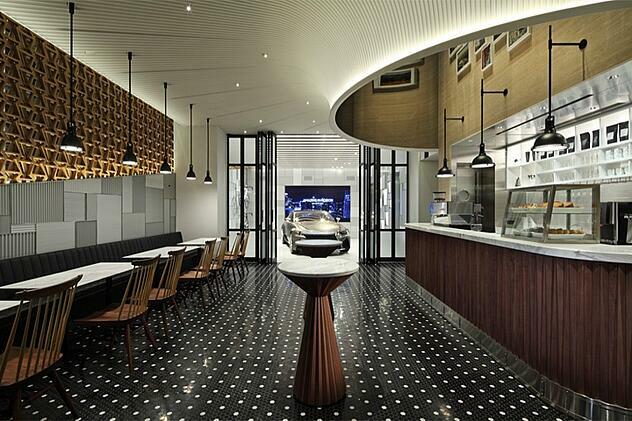 Keep all these things in mind when thinking about your car showroom design. Image below: Volkswagen Center by hell und freundlich, Dortmund – Germany. They focused on the customer navigation and orientation. With the creation of a new entrance, which is well visible from the property entrance and the parking places, they communicate a true new “Welcome” with clear guidance.Note also - the curved ceiling, creating a warm, 'enveloping' feel. 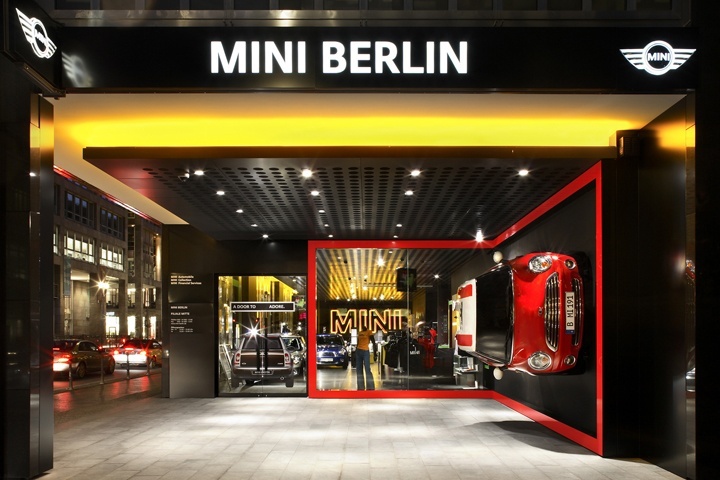 Image below: BMW MINI showroom by Plajer & Franz, Berlin – Germany. The MINI showroom is the biggest of its kind and successfully conveyed the image of MINI: fresh, young, individual and sportive. The choice of clear colours and a modern interior feel accentuate the new look for a young and hip target market. Another way in which car companies create a sticky-customer (one who keeps comig back) is to introduce them into an exclusive club where new car owners can be made to be part of something exciting. Porsche are a great example of this - they plan regular meets and drives where club members can meet up, go along on a drive through the countryside (or city) and meet up for lunch or drinks and talk about everything Porsche related. How exactly does this create 'sticky customers'? With a club, members can be informed of special releases, new accessories, specific service agreements, special access to bars or coffee shops or be informed first about discounts and much more. Of course a club is also a great way to network with customers. Also - if members meet up together fairly often, they can discuss new accessories and hear reviews of whether this or that dealer / alarm system / radio / GPS unit is the best. Take note that this can also be the easiest way for a bad experience to spread like wildfire among the group - so your service and parts have to be top quality at all times. Image Below: Intersect by Lexus flagship by Wonderwall, Tokyo – Japan. The design evokes the feeling of a clubhouse or salon that can serve as a platform for gathering and sharing a variety of information and activities. Inside the three story building are a café, a garage that can be utilized as a gallery, a lounge, and a clubroom. 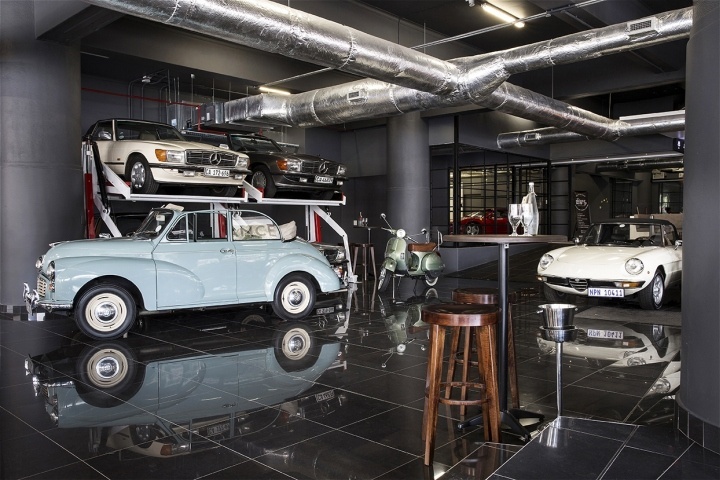 It is tempting to design a showroom with a 'car garage' mindset. Maybe you assume that the male population will feel right at home in an area which mimics a typical garage. I'm talking about garage elements such as hard concrete flooring / bulky overhead Compact Sectional Doors / an overload of stainless steel and minimal natural light. If you think about how much money your customer is potentially going to spend on a new vehicle, there is a fair level of loyalty and trust required by the customer before signing the bottom line. 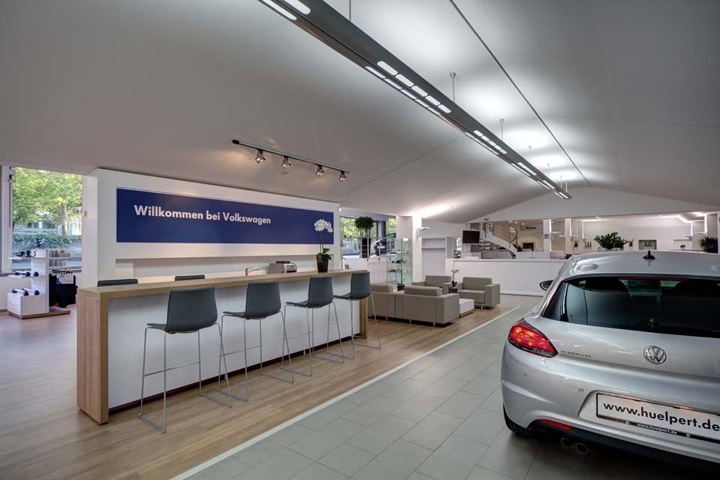 Some effective ways in which luxury car dealerships have made their car showrooms more appealing and friendly, yet professional, is to ensure that they have clean, clear sight lines both inside and outside the car showroom - i.e. 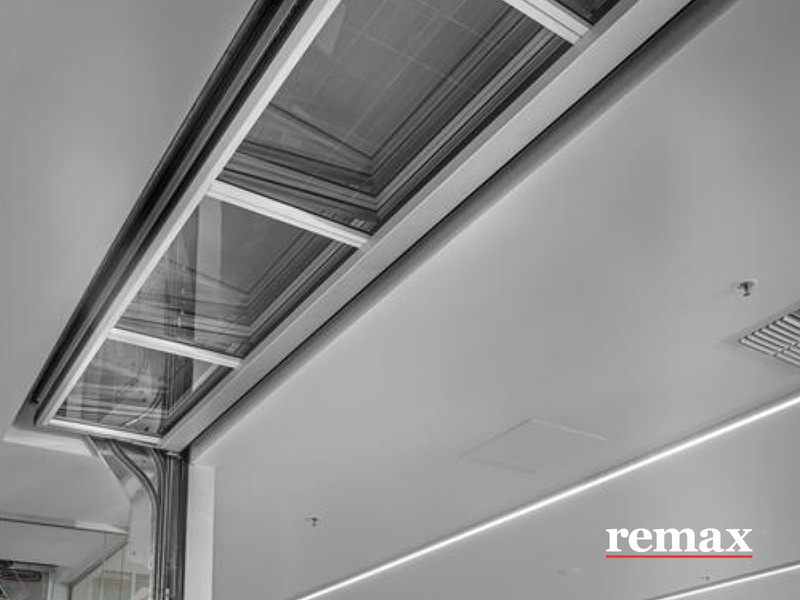 think about the overhead clutter caused by standard overhead sectional doors - the beams can protrude over the ceiling space whereas Compact Sectional Door will tuck neatly into a unit within the overhead door space (or within the ceiling space itself), ensuring that the showroom can place lights and skylights right above the entrance / exit. These seemingly minor improvements may not appear to make too much of a difference but trust me, they do - and the customer will feel these luxurious improvements without exactly pinpointing what it is - now that is superior design!